Royals In Nappies: A Family Album : The Two-Way The photographers are already camping out ahead of the expected birth this month of Britain's third in line to the throne. As we wait for that highly anticipated first photo, here's a look back at a few other babies who made a royal entrance. The photographers are already setting up ahead of the expected birth this month of the little prince or princess who will be Britain's third in line to the throne. The child of Prince William and Catherine, Duchess of Cambridge, will bump down Prince Harry in the line of succession. And if the baby is a girl, any younger brothers won't be allowed to cut ahead of her in line, thanks to some new rules. To get the first shot of the wee royal leaving St. Mary's Hospital in London, news photographers have staked out territory across the street, marking their spots with colored tape and positioning their stepladders, Time reports. 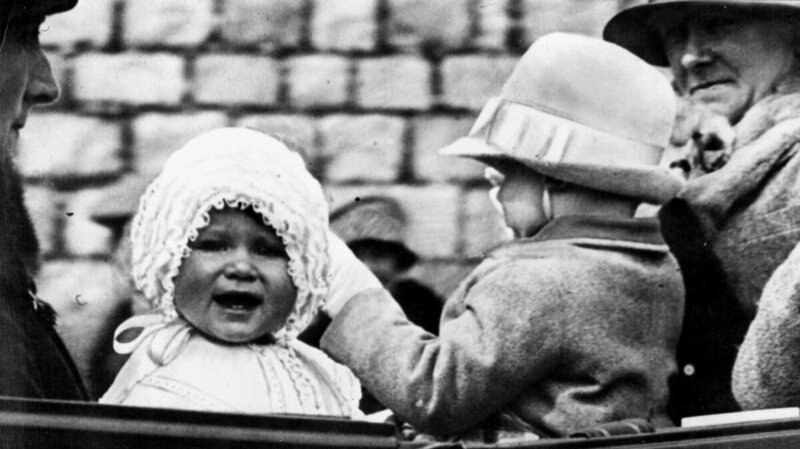 As we wait for that highly anticipated photo, we thought we'd take a look back at a few other babies who made a royal entrance. Little Princess Elizabeth takes a ride on the grounds of Windsor Castle in 1927 with her cousin, Gerald Lascelles. "At the time she stood third in line of succession to the throne after Edward, Prince of Wales (later King Edward VIII), and her father, The Duke of York. But it was not expected that her father would become King, or that she would become Queen." If you've seen The King's Speech, you know the rest of the story: Edward VIII abdicated and Elizabeth's dad, George VI (you may know him as Colin Firth), took over. "Despite the distance of the child from the throne, the newspapers took a keen interest in the birth. ... Such, indeed, was the excitement that a crowd swiftly gathered in Bruton Street in the hope of seeing the Princess, to greet the messenger boys who arrived with telegrams and presents, and to cheer [her mother's] royal callers." 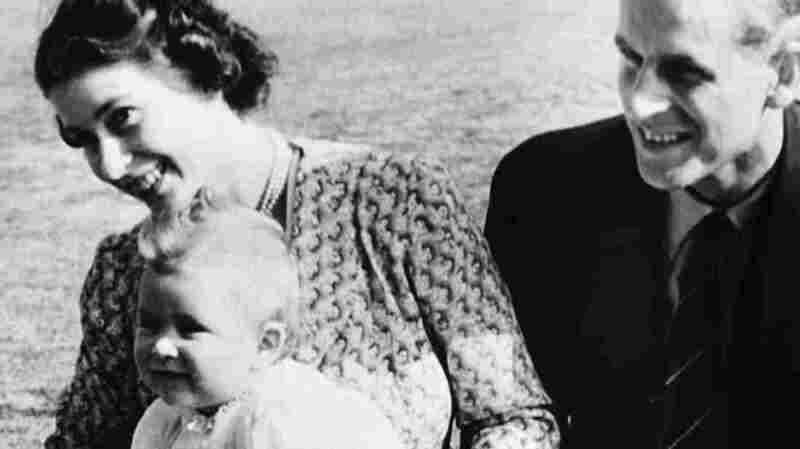 Prince Charles at 8 months old with his parents, Princess Elizabeth and the Duke of Edinburgh, on July 18, 1949, in Ascot, England. The christening also provided the first photo of the new Royal Highness. "Hardened press photographers pronounced the Prince a model baby — healthy, blue-eyed, wispy-haired and well-behaved," according to the Times account. Britain's Prince William, the 6-month-old son of Prince Charles and Princess Diana, sits on his mother's knee at Kensington Palace in London on Dec. 22, 1982. 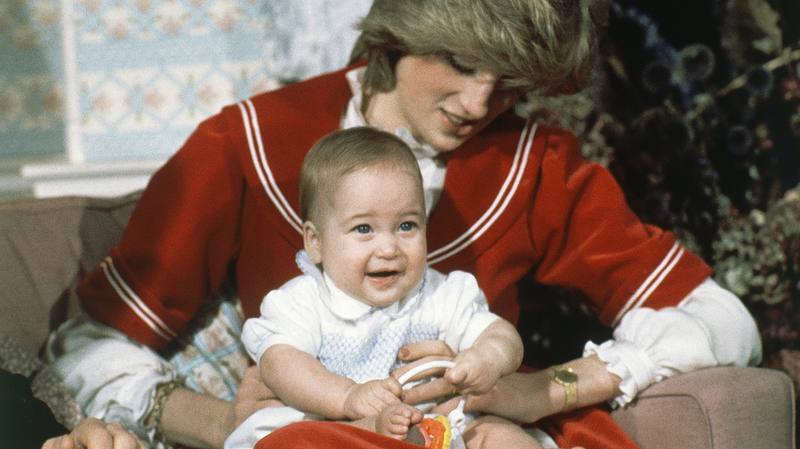 In 1982, William was born in the same hospital where his wife, Catherine, is expected to give birth — St. Mary's in Paddington. USA Today reports that "he was the first heir apparent and future monarch to be born in a hospital." "Outside the hospital crowds had gathered to wait for news of the birth, with some saying they would wait through the night if necessary. Flowers arrived all day long and were taken into the hospital. Thousands also gathered outside Buckingham Palace, where the birth was formally announced." 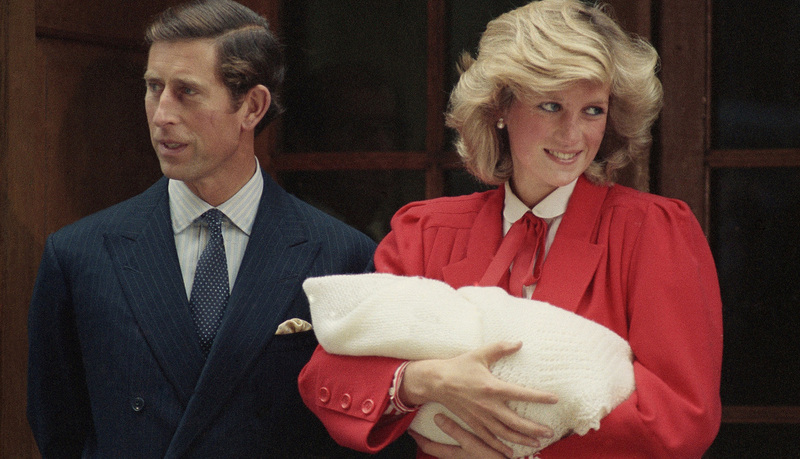 Britain's Prince Charles and Princess Diana leave St. Mary's Hospital in Paddington, London, with their new baby son, Harry, on Sept. 16, 1984. "Outside St. Mary's Hospital ... more than 300 reporters, TV technicians and curious onlookers milled anxiously behind a double row of police barricades and dozens of photographers and TV cameramen perched atop ladders nearby. ... A TV crewman, hooked up to his home office through head-phones, broke the news to the mob outside St. Mary's. 'It's a boy!' he shouted. The crowd exploded in cheers. At that a rubbernecking motorist in front of the hospital drove into the side of an ambulance." Given the photographers now converging on London, it seems safe to say Harry's new niece or nephew — possibly "the world's most famous baby" — will cause a scene, as well.